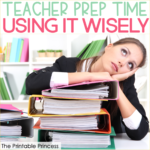 We’ve all felt it- the urge to take a different route to avoid passing another teacher’s classroom. The feeling of dread when we end up on a project with a colleague we just can’t see eye to eye with. The powerful need to roll our eyes to the back of our heads when a coworker goes on and on (yet again) at a faculty meeting. Regardless of the situation, you’re not alone! 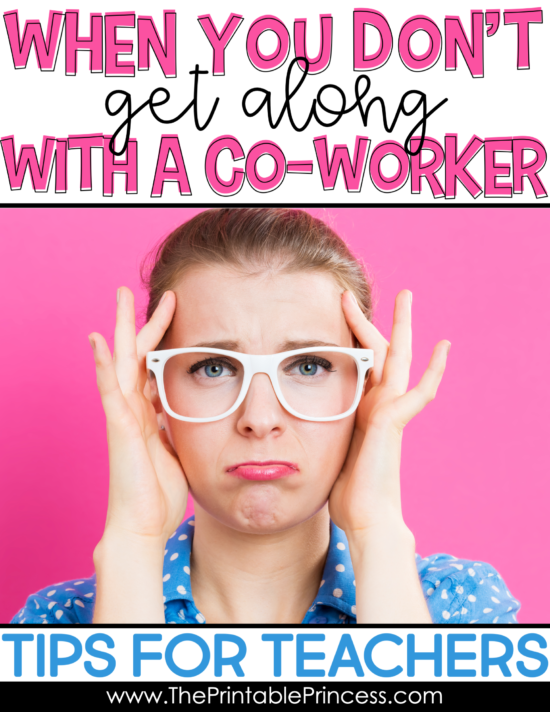 There are loads of reasons you might not get along with a coworker. It could be anything from a basic personality conflict to differences in teaching philosophy, work ethic or leadership style. 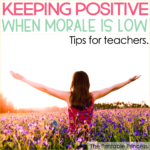 Whatever the reason, it can take a toll on the morale you feel at school. The bad news is not getting along with another teacher is never comfortable. The good news is that conflict always has the potential to teach us some valuable life lessons. Here are some tips to help you manage when you hit a snag. Realize that workplace conflict is inevitable. Any time you put human beings with different backgrounds, opinions and priorities together in a working environment, there is bound to be conflict. Especially in a field like education, where passion is practically a requirement for the job. When you pour your heart out for your students day in and day out, it’s likely to matter to you- a lot! And you’re likely to have strong opinions. That in and of itself is a recipe for conflict. Nip the situation in the bud. 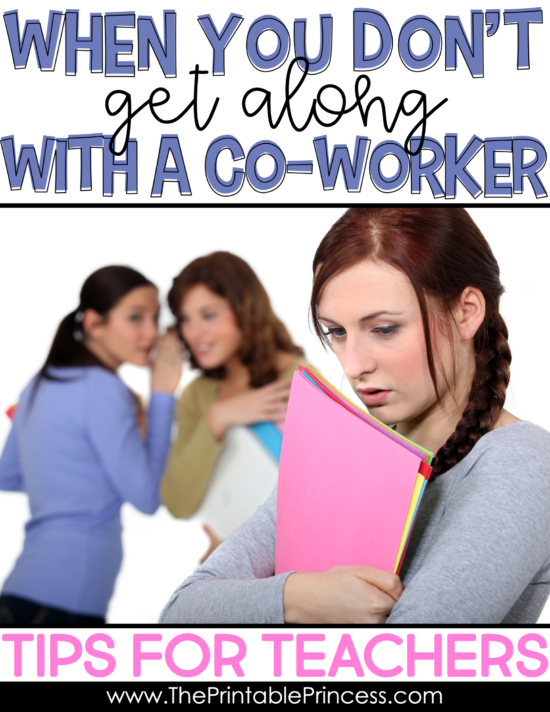 Address any issue you have with a coworker immediately. Don’t let your imagination run wild over an offhand remark or perceived slight. Go directly to the person involved and have an open and honest conversation with them. It’s easy for a simple misunderstanding to get blown way out of proportion by letting it fester. Own up to your part in the drama. A funny thing about human nature- we are often most offended by characteristics in people that we find least attractive in ourselves. Take a good look at yourself and confront any knee-jerk reactions you may be having. Apologize for your part in the conflict and express your willingness to come to a peaceful resolution. Let the other person tell their side of the story. Ask them what they need and see if you can balance out both of your needs by helping one another. Maybe you can set up some ground rules together for avoiding conflict in the future. While confiding in a trusted colleague (more as a reality check than a gossip session) is okay, don’t spread your disdain for a coworker. There’s nothing to be accomplished by telling all of your co-workers about the “bad” things this person has done or how much you dislike them. As stated above, your best course of action is to deal with the situation openly and fairly by going straight to the source. Decide whether it’s worth the fight or not. If the direct approach doesn’t do the trick, maybe the best course of action is to simply steer clear of the person. In the name of keeping the peace, let things slide. Limit your exposure to them as much as possible. 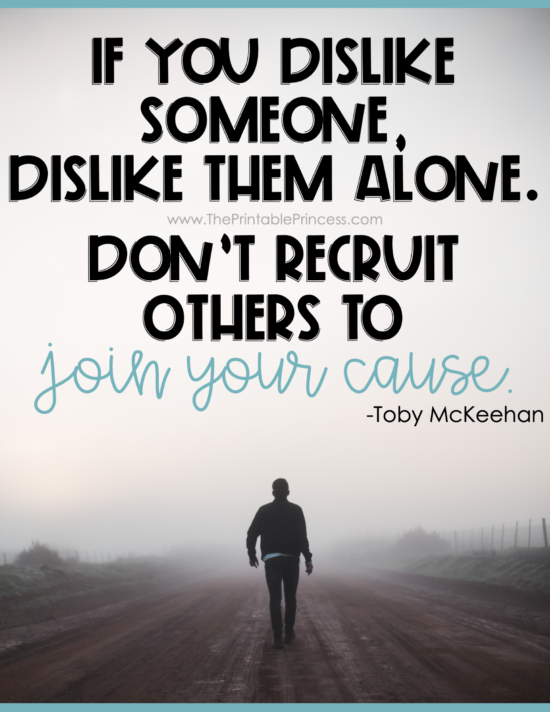 Don’t volunteer for the same committees. Sit on the opposite side of the room at staff meetings. Put your energy into relationships that strengthen and support you. As a last resort, if the conflict continues, you may need to enlist help from an administrator or supervisor. 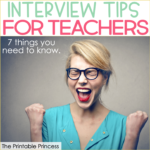 They may be able to offer mediation in some form to get you both back on track and focused on the most important thing- your students. Conflict with school colleagues may be hard, but it’s worth the effort to do what you can to make things better. By addressing issues honestly and openly, you’ll be doing your part to manifest a peaceful solution. Your working relationship—and your school—will be better for it.